It took a bit of convincing to assure a woman she was a division one lotto winner after the retiree initially checked her ticket and thought she was one number short. The woman, aged in her 60s, was adamant she had missed out winning in Saturday’s TattsLotto draw until a Tatts official called her Monday morning and asked her to re-check her ticket. The woman, from Victoria’s Mornington Peninsula, was one of the seven division one winning entries nationally, who each took home a prize of $574,330.46. When a Tatts official made contact with the woman Monday morning, she initially refused to believe she had won, the Lott said in a statement. “I checked my ticket on the internet yesterday. I was just one number off getting division one – I was spewing!” she declared. “I don’t think it was me. I don’t believe you,” she added when the official tried to convince her of her good fortune. But when she rechecked her entry, the enormity of her win became apparent. “Oh sh**! I have won! Oh f***! Oh sorry!” she screamed. “You’re kidding me! I have to grab my husband – I don’t know where he is,” she told the Lott official. “Oh Jesus Christ! I didn’t think this was ever going to happen. “I checked that ticket, but must have only checked the top lines,” she said. The woman, who purchased her 12-game marked entry at Rosebud Plaza Lotto, planned to use the prize money on a cruise holiday. 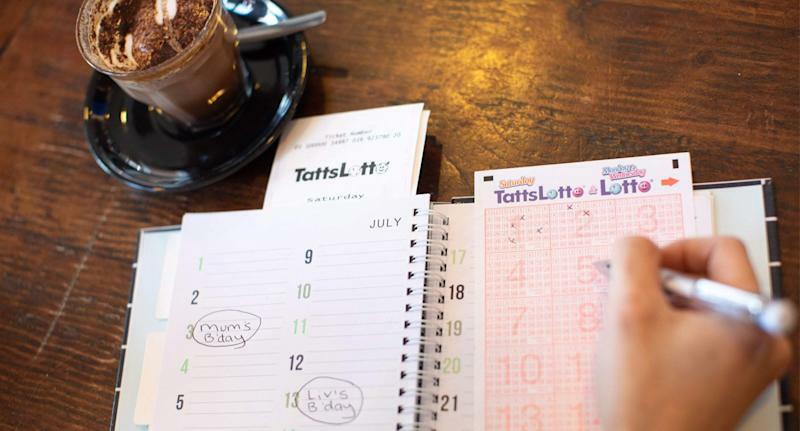 Across Australia, there were seven division one winning entries in TattsLotto draw 3937 - four from Victoria, two from Queensland, and one from Western Australia.